It's very common to find unsightly brown staining on ceilings and sometimes walls. This is caused by dampness or water leaks. The moisture leaches out the chemicals in the plaster which results in the brown patches. 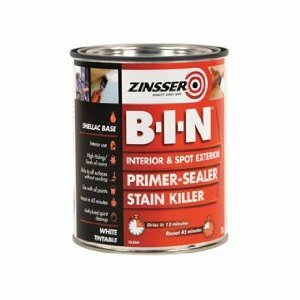 Assuming you have first dealt with the actual cause making good this kind of staining is straightforward however, you will find that if you simply paint over the stain with emulsion paint the staining will come back through as it dries. 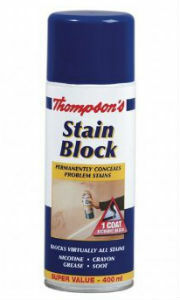 You need to treat the staining first with stain blocker. Let that dry, then paint over.There are various stain blockers on the market which you paint on with a brush or spray on from an aerosol. They are usually white so for a quick fix you can sometimes get away with just spraying or painting the blocker which blends into your white ceiling. Usually however you'll find it looks a bit patchy and you may have to then paint the whole ceiling with emulsion paint.